How is it Monday again already?! 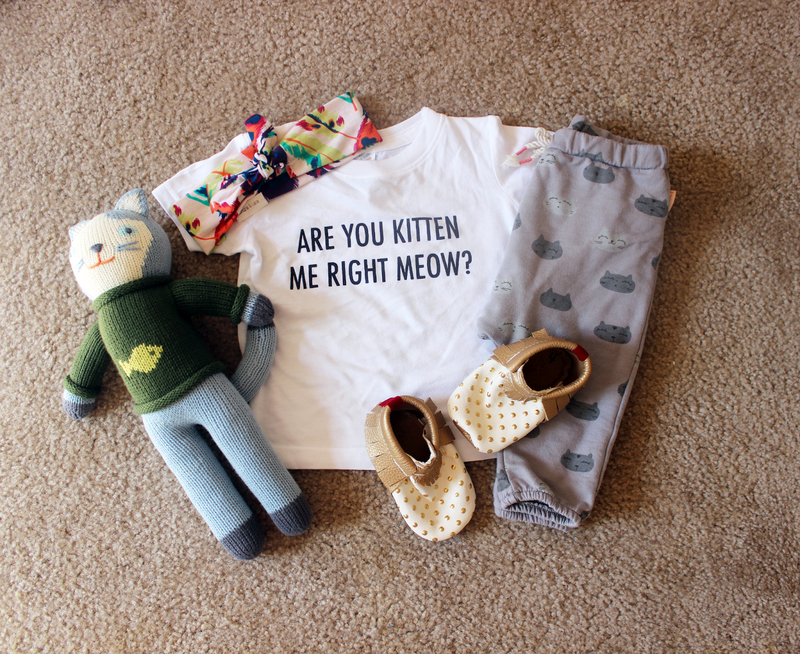 We're going more casual today with our Little Bow and Arrow graphic tee and cat printed pants which I am in love with. 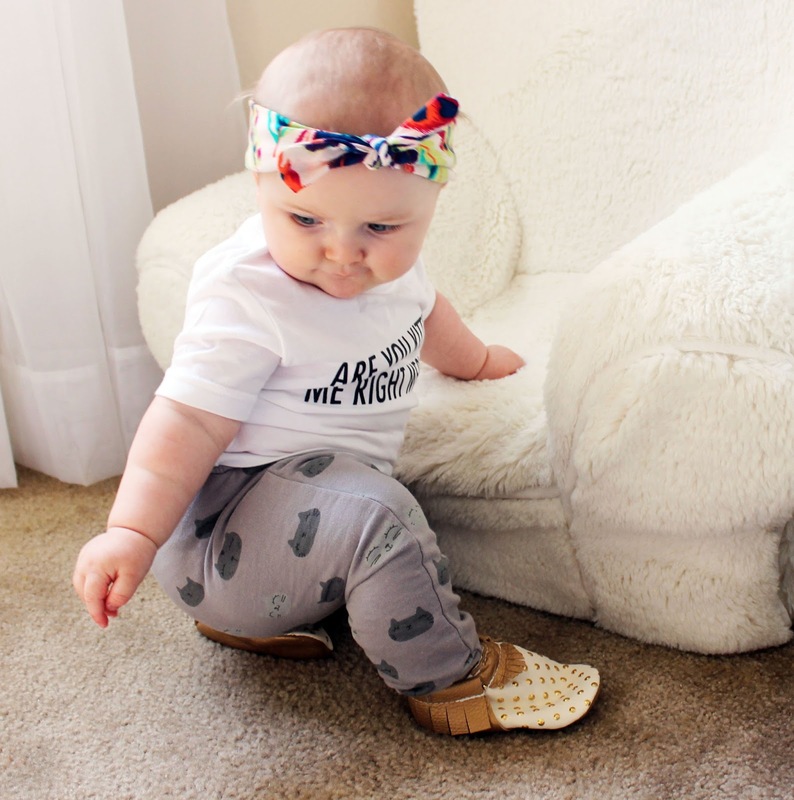 Paired it with our Faas Design Honey Dot moccs which are a little big, but means she can wear them for a lot longer. And they actually stay on, so that's a plus too! Details are below! Do you guys have any big plans for this week? SO adorable! And I love her name! ;) Just found you through Lynz's blog! Congrats on becoming a contributor! Ah! I bought those sweats for Kaitlyn and they were so huge, fell right off. And then they sold out. :( Will be following!